Reach new vistas in business while enjoying the waterfront McCormick Place on the shores of Lake Michigan in Chicago. Use our amazing trade show displays to connect with a truly international crowd in the Windy City, and let your exhibition displays speak volumes about your business. As a reward for your success, don't miss the chance to grab the best photos of the Chicago skyline from the Adler Planetarium Skyline Walk located conveniently less than 2 miles from the convention center. 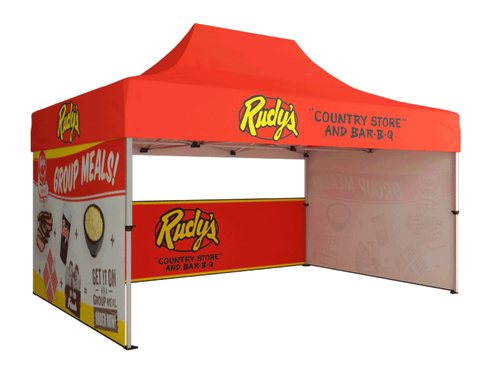 Your company will benefit from the wide variety of portable trade show display, pop-up displays, portable exhibits, booths and retractable banners stands. Let graphic displays help you in elevating your business and brand to a higher level in the Chicago market! Where is the Chicago Convention Center Located? McCormick Place is located at 2301 S King Dr, Chicago, IL, 60616. McCormick is the largest convention center in all of North America, consisting of four interconnected buildings and one indoor arena, all near the shore of Lake Michigan. This convention center is the epicenter of exhibition! The gains of using a trade booth are numerous for any business. The brand will get visibility and credibility. A business or company that makes presentations at a trade show increases prospective customers. Your presence at a trade show is also a significant gesture to the industry. It indicates that your business and brand are dependable. Do not be discouraged by the costs of attending a trade show. Also, avoid using cheap and easy means that may lead to mistakes. Before purchasing a booth, consider these determinants.
. A hype campaign creates a zeal that will direct customers to your booth when the trade show begins. The campaign will also inform people of the trade show, and allow them to make time before the day. Remember to increase space in the booth that will accommodate all the people visiting. A trade show booth should not just give information about the company. It convinces the customers why your company is better than the competitor. This aspect is a very important, especially in a trade show. Your company is not the only one displaying those products or services. Consumers need a reason to approach and choose you over all other competitors in the trade show and market.